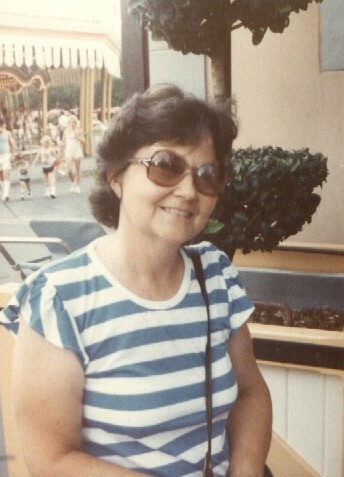 A wife, mother, grandmother, and great grandmother, Melida Gay Looney, 80, of Valparaiso, FL, passed away 10 Jan 2019 and has gone to be with the Lord. She was born 19 Jan. 1938 in Elkhorn City, KY. She married Charles E. Looney on 2 July 1956 in Virginia. She is survived by her husband, Charles Looney, four daughters, Shirley Looney, Deborah Giles, Cathy Morgan and Brenda Duggar, eight grandchildren, Daniel and John Giles, Adam, Mark, and Sara Duggar, Joshua, Charles and Stephen Morgan, and two great grandchildren, Eli and Isaac Duggar. She has many nieces, nephews and cousins and three remaining siblings, Priscilla Norton, Ronnie Hall, and Harold Hall. She is preceded in death by her parents, two brothers, and one sister. She was faithful to the church. She worked in day care for almost 14 years, Acteens for a while and was a nursery worker since we came to the church in September 1979. She loved children. A celebration of her life will be held on her Birthday, January 19, 2019. Family visitation will be at 10 a.m. with a service to follow at 11 a.m. at Cornerstone Baptist Church, Valparaiso, FL with Pastors Jeremy Myers and Ernest Walker.